I won’t live long enough to get sick of rainbows. Of Jacob’s ladders. Of sunsets. Sunsets with clouds puffed in pink against a purple glow, streaked is violet over a golden spread, and wisped in orange and gray across the fading blue of day and darkening navy of night. I don’t think I’ll tire of thunderclaps; the flash of lightening—veins across the sky—will never lose their thrill. I will always look forward to the rain. The first drops that make the dry ground let up little poofs of dust, the sideways no-way-to-stay-dry sheets mid-storm, and the mist before the sun returns. I don’t believe I’ll ever know anything more beautiful than the stars on a clear moonless, lightness night or the orange moon glowing just above the treetops. I won’t live long enough to get sick of the magenta sunrise. It pains me to think there might have been times when I was too harried, too busy to notice these things when they crossed my path. To be truly lost is to forget life distilled is sunbeams and water droplets. If you’ve studied or spent time in Latin culture you’re probably familiar with the term “machismo” (strong or aggressive masculine pride). Someday I’ll probably talk about machismo in terms of Paraguayan men or relationships between men and women in Paraguay, but not today. Today the topic is how women talk about other women, and how it feeds machismo and everything else that’s disempowering to women. In the States and in Paraguay you can gripe about or battle gender inequality, the complaints are justified and the fight is needed. But, when we talk about empowering women we often talk about one of two things: 1) giving women skills and tactics to get what they deserve, 2) teaching men to be less discriminatory toward women. We infrequently talk about how women treat and talk about other women, and that’s where we need to start. I love so many things about Paraguayan culture and spending time with Paraguayan women, but there is one thing I detest and that is how critically and negatively Paraguayan women talk about other women. In truth, women bashing other women isn’t unique to Paraguay, but it is so blatant here that it directly influences almost everything women do. Women might critique other women’s weight, their dress, their house, their food, their children, their husbands…anything that can be blamed on someone could be the subject of scrutiny. I have yet to hear a conversation among women about another women that is devoid if negativism. The catty comments might be sandwiched between compliments but they’re there. People in my community joke that women get dressed up to go to the soccer game to impress other women because the men don’t care. You might brush off women’s negative comments about other women as envy, and sometimes that is the root of it, but I think more often these comments stemmed from learned culture and are not based on insecurity. We got to change this. The Jesuits were in Paraguay from 1607 until 1768 when Carlos III of Spain kicked the Jesuits out of all of South America. 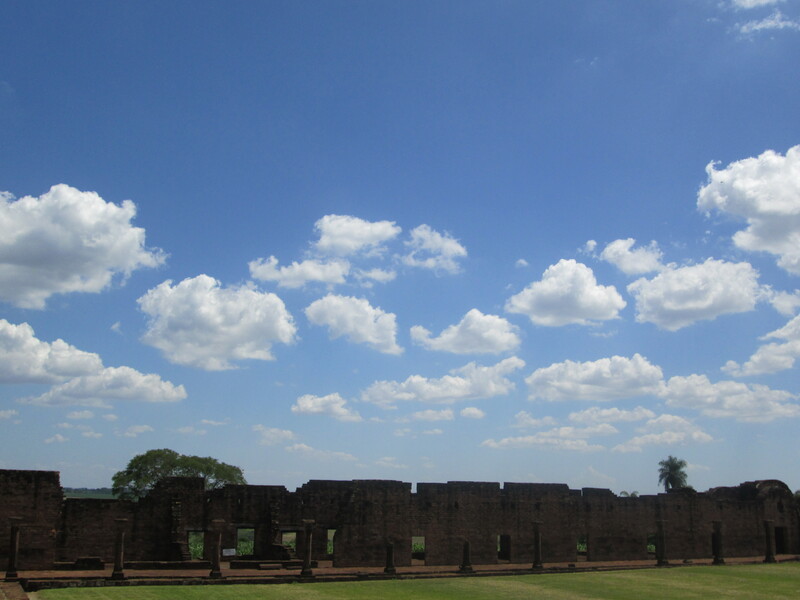 The Jesuits are the reason Paraguay is still a bilingual country. 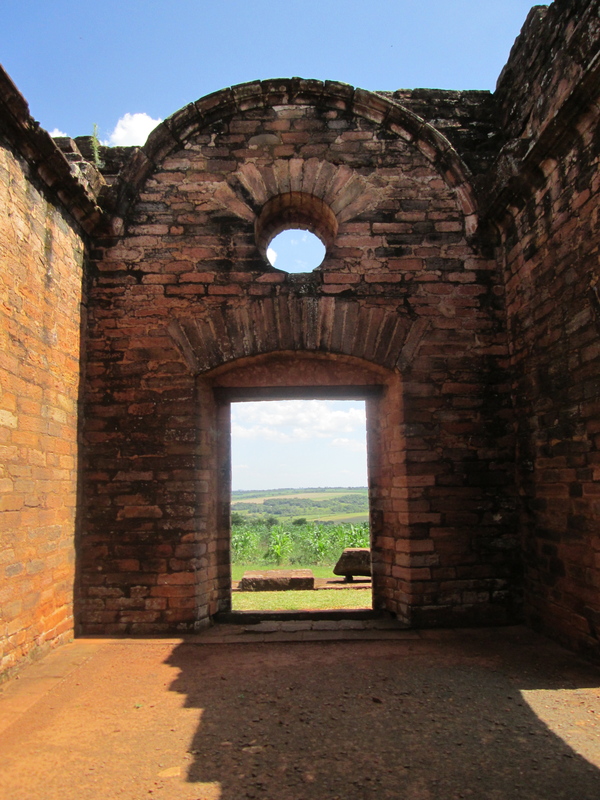 They formed religious communities for the indigenous people the Guaraní (the most prominent indigenous group and language in Paraguay) that provided protection from slavery and preserved the language. 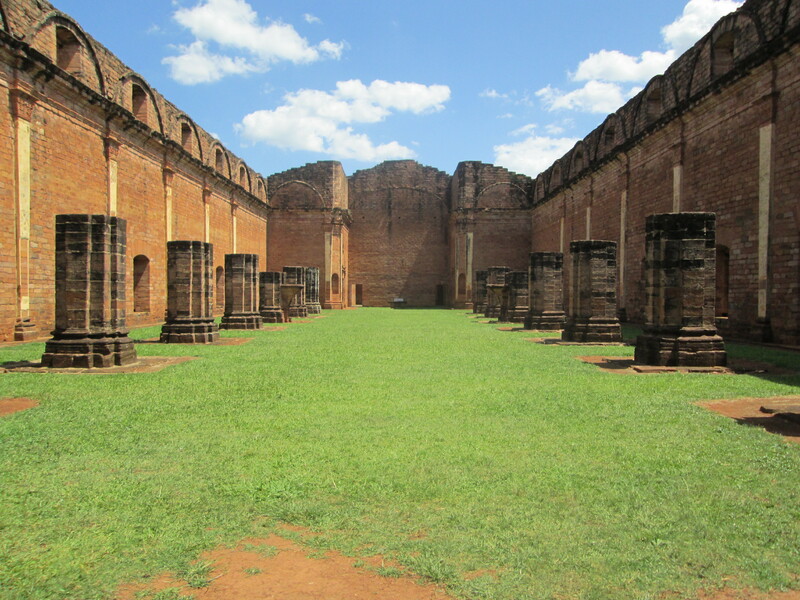 It is doubtful that the Jesuits’ main mission was to preserve indigenous culture, but it is the greatest influence they’ve had on modern Paraguay. I find the story of profound, unexpected victories inspiring. In Peace Corps training, health volunteers in Paraguay, they told us not to lose hope if it seemed like we were having no obvious impact. As they liked to say, “You never know what good you’re doing.” If you’re into behavior change or prevention (of any kind) or life skills such uncertainty is familiar because “you can never be sure” is the bane of all those disciplines. Of course, “never” is a bit of an exaggeration, but measuring the impact of programs/materials/activities designed to change actions, to influence decision-making, or to empower individuals requires a longitudinal study that won’t be complete until many years after the fact and will be so dense that congressmen and other money-controllers won’t have time to read it and their underlings won’t want to read it. I spend a lot of my time working with youth. The idea is to help them develop strong self-esteem, leadership abilities, and other skills so they make better decisions and will have happier lives. I often wonder if anything I do with the youth is going to be useful or influential in their lives. 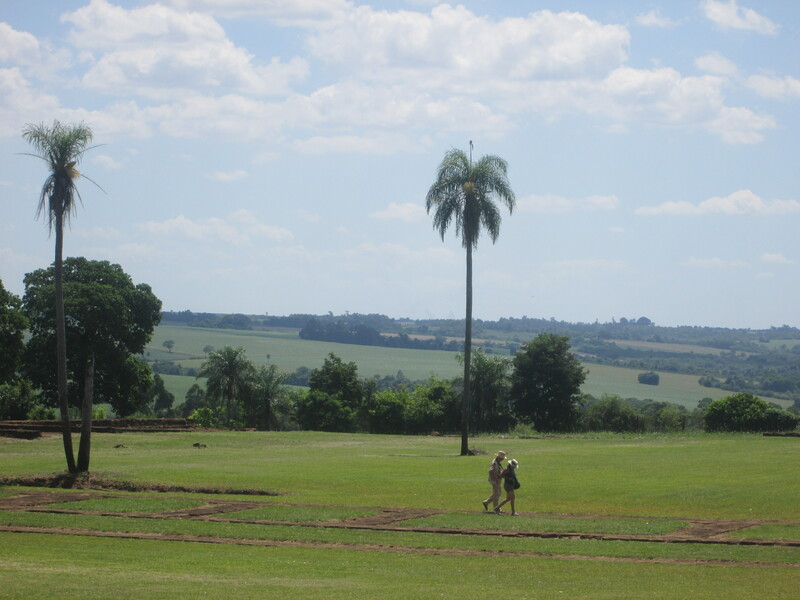 But, I am satisfied because I know my time in Paraguay will be like that of the Jesuits: I’ll never know the influence I had, the impact will be profound for someone, and it will be unexpected. Mercy: Send Some AC, Please! That it’s summer in Paraguay and you’re traveling. This Thanksgiving was the first I spent outside of the States. I ate a huge Thanksgiving dinner with turkey, gravy, and other common-fare Thanksgiving dishes with a bunch of other volunteers. It was joyous. It was hot—I spent hours diving into one of the 3 pools at our hotel. But, all cheer aside, it didn’t feel like Thanksgiving, and it doesn’t feel like almost Christmas. It doesn’t matter that I have a mock Charlie Brown Christmas tree and that several of my neighbors have blinking Christmas lights. Don’t worry; to say I’m sad would be a gross error. After all, I will be doing new, jubilant things for Christmas. I’ll eat a ton of Paraguayan food and probably dance all night—that’s how the family with which I’m spending December 25 tells me they celebrate. This sounds like a smashingly jolly time. So if it’s not sadness that squashed the holidays for me this year, what is it? To start, Thanksgiving for me has always been a day to be thankful. Thankful for family, friends, delicious food, and everything that makes life great. The trouble is that this year Thanksgiving focused on hanging out with volunteers—good company but little thankful reflection. Conversely, when I’m in my site I am actively, consciously thankful for something on the daily. Being a foreigner makes me hyper-aware of the wonderful things about my native culture and adore the things Paraguay does better—I’m grateful about something everyday, whether it be recalling something familiar or learning something new. 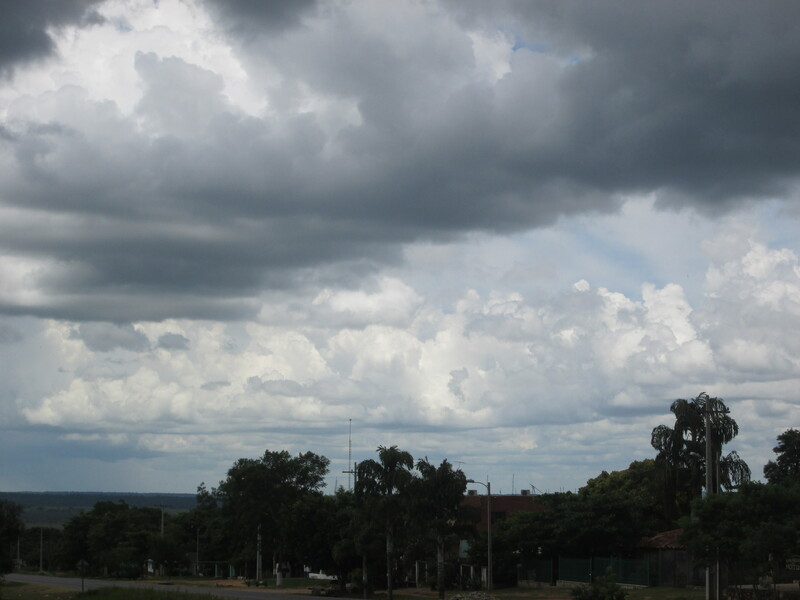 What’s more, Paraguayan culture has a fabulous way of appreciating the little things; and it’s contagious. My point: This year I didn’t need to set aside a day to give thanks, because it’s become daily routine. Next, there’s Christmas. It’s not the location or the traditions; it’s the people who are missing. Christmas for me is a day where I’m guaranteed to see all my siblings and parents at the same time—it doesn’t happen any other time of year. I’m not seeing any of them, so it’s just December 25. I thought I looked like a lot of Paraguayans—I have brown hair and I’ve tanned to be several shades darker than I was in the northlands. I sort of thought I’d done a good job blending. Nope. I’m mostly German and Irish with a mix of other groups is my heritage. Before coming to Paraguay I didn’t stick out with my freckles and greens eyes, actually I was so nondescript in the States that I figured if I needed someone who had never seen me to pick me out in a crowd I’d just wear something interesting. Paraguayans compliment me on my light skin. Recently, I was feeling very integrated at a birthday party. Then, several of my students who were at the party looked at me funny as I walked across what would later become the dance floor. I asked them why they looked at me that way and they told me my legs were pretty…because they are so white. I’ve never before been in the minority. It’s weird having a physical trait that people use to judge you—especially one over which you have no control. It’s not uncomfortable when Paraguayans comment on my skin—they tend to ask if I’m German (in their minds all light-skinned people are German, just like all dark-skinned people are Brazilian)—because in Paraguay any physical aspect of your body can and is a topic of conversations. The number of times I’ve been told I’ve gained weight (or lost it) in Paraguay is mind-boggling. It’s not something I think about all the time, but comments about my skin remind me that I’m not from Paraguay. They make me feel like an outsider. Usually the skin-color conversation concludes when Paraguayans tell me that white skin is pretty and I say that their skin is beautiful too and that I think I’ll be their color when my freckles blend together. They laugh. I don’t think Paraguayans would understand if I told them that tons of people in the State pay to go to tanning salons so that they can be the color of the average Paraguayan. Why is light skin considered the ideal, even in regions where it marks an outsider? When we don’t look like the people around us, why do we have moments of doubt about whether or not we belong? Change (to become different, transform) is such a simple word and such a complicated reality. It is said that each of us is constantly changing and that the world is in a continual state of transformation. Sometimes those processes of becoming different are quick and sometimes they are slow. 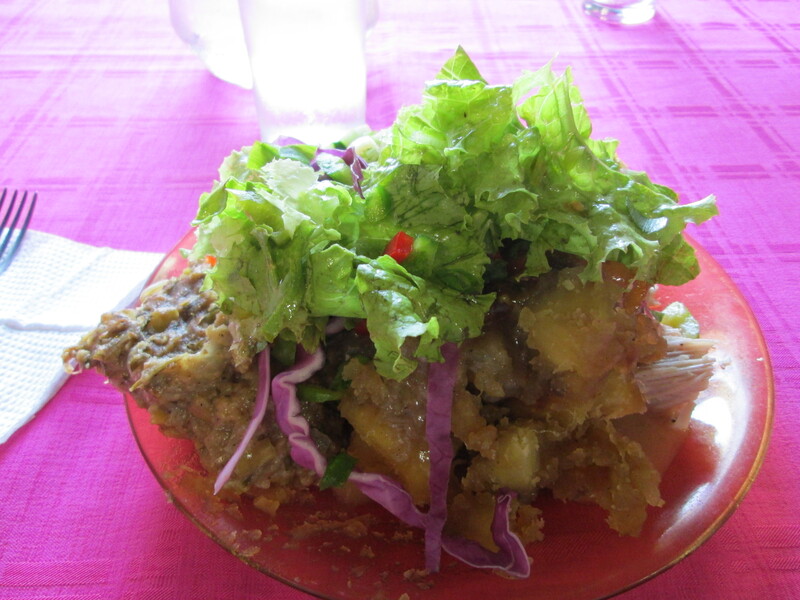 Being in the Peace Corps makes your process of changing fall close to lightening speed on that scale. When we have a set routine—an American style routine where every minute is assigned to a specific activity—we choke our opportunities for personal evolutions. It’s not so much the routine, but when we are too busy to break out of our normal daily activities to try new things and overcome unchartered challenges the metamorphosis of life is slowed. People who excel in experiences like volunteering for the Peace Corps, are people who embrace change. By becoming volunteers, my peers and I threw everything we had and knew to the wind to try something that we had never done and could not understand until we landed in Paraguay. 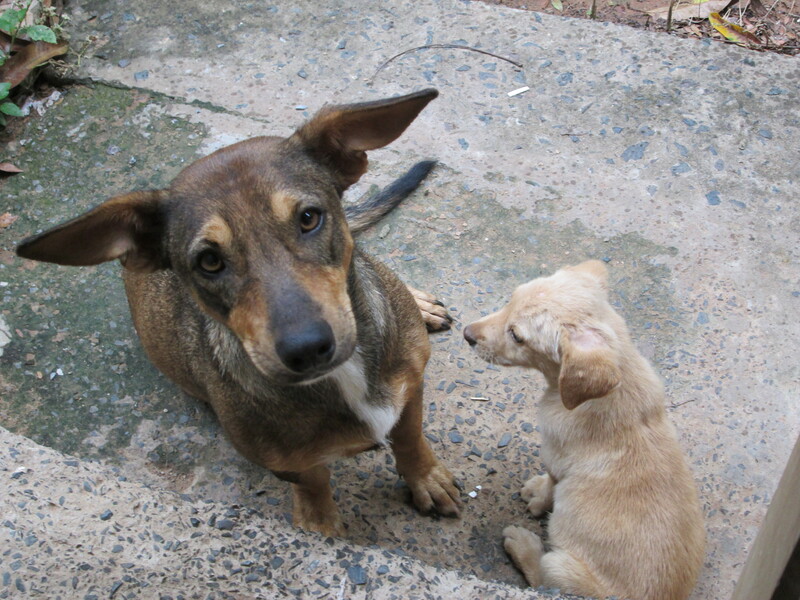 (And to be honest, we are still figuring out what it means to be a volunteer in Paraguay. For example, something that would NEVER happen in the States occurs every single day). I’m 10 months in Paraguay and counting. Ten months is also known as: 2 college semesters, one high school year, and the time a baby is in the womb (remember babies should be in the oven for at least 39 weeks). In the grand scheme of things, 10 months is a snippet of time. But, I’ve changed as much in these 10 months as I did during college (maybe more depending on what aspect of my life at which you’re looking). We have many hours by ourselves during which self-reflection and contemplation of the meaning of life is inescapable. Every day we have an experience that is quite unlike any prior experience. Living in a culture that isn’t ours blows our mind. Things we took for granted before are no longer granted. We have to change our beliefs to encompass the new reality through which we are muddling. Why am I telling you all this? Do you remember that first time you visited your hometown after being away for a while—like after your first year of college? Do you remember how your parents’ and childhood friends’ interactions with you operated on the assumption that you were the same person you were before you moved out? Do you remember how wrong they were? Peace Corps volunteers change, and our rate of change is faster than most of our loved ones back home. This difference in rate is not good or bad; it’s just a fact. And it’s true because our lives, serving in another country, require us to be flexible. We must be willing to breakdown assumptions we held and rise to new challenges—if we can’t do that we can’t do our job. 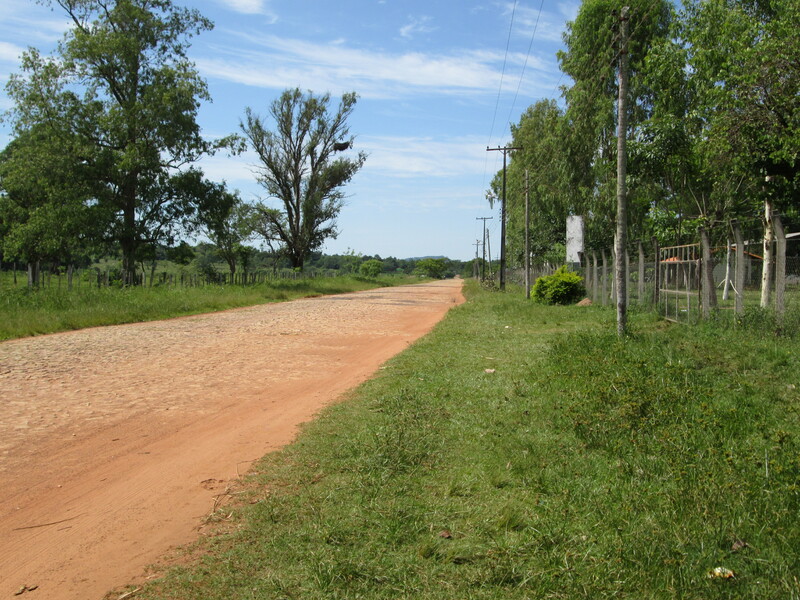 When you talk to us, don’t be surprised if our interests are different than they were before we departed; don’t be surprised if our opinions, stereotypes, worldviews, concepts of good and bad, passions, and general attitude were mutated by Paraguay. Don’t worry, we still love you, but we aren’t the person who accepted our Peace Corps invitation. The person who opened that Peace Corps invitation some months ago no longer exists. I don’t have my own pet in Paraguay. I travel too much and it’s not exactly practical to fall in love with a fuzzy friend and then spend a mountain of money to ship it to the States at the end of my service. But, there is a dog that owns me in the community. She’s my neighbor’s dog. My neighbor has a house in Asunción so she is not always in the apartment next to me. Because of this, her dog ranges free for the majority of the week. I don’t know who feeds that dog, but someone does and it’s not me. But, I do pet that dog and talk to her and if I make too many pancakes I give her a few—she’s amazingly picky about what she eats and I don’t cook meat so beside pancakes we are somewhat at an impasse when it comes to food. Sometimes I let my neighbor’s dog into my house—she’s allowed to sleep in the bathroom when it is unbearably hot and she is allowed to sleep in one corner of my house when it is pouring outside. She has fleas and smells, which is why she is regulated to certain regions of the house: dogs and cats are not seen here the same way as they are in the States. Despite my minimal love the dog bounds to meet me when I come home and whines until I pet her. She often follows me around the community. She will wait for four hours at the house of someone I’m visiting so she can walk me home. She’ll brave crossing into other dogs’ turf, which could cause a fight, to go on long walks with me. She’s a perfect example of what so many doctrines tell us we should be: giving, forgiving, unconditionally kind, and low-maintenance. We should all strive to be more like her. People my age in Paraguay and people my age in the States have a number of things in common, but one that sticks out is that their cell phones are lifelines. We just can’t seem to put them down, no matter the occasion. And so, I find myself having the same reaction here that I used to have in the States when my friends whipped out their phones in the middle of a conversation. Yeah, I’ve already head this: Internet, social media, and cell phones allow you to expand your reach far beyond your physical location and the number of people you can talk to personally in a day. These connecting tools, message-sharing tools sell things, allow you to plan with your friends, and help you keep in touch with friends and family who are far away. They are powerful. But, nothing you post on Facebook about our friendship will ever be as powerful as that conversation we had yesterday. Nothing is more important than here, the space you are occupying at the moment, and the people who are here with you. When you bury your nose in your phone during our conversation you only send me one message: Whatever is on that little screen is more important than whatever we have between us. When you go to an event and spend your whole time instagraming, tweeting, and facebooking, you will miss the event. Do you have to text every one of your friends to see when they’re arriving? Yes, social media and texting is important. But living life—doing real things and connecting to people in person—comes first. Sure, I am curmudgeonly when it comes to cell phones and social media. But, it’s not because I don’t use them or think they aren’t useful; I find them essential. But don’t make me fight What’sApp when I’m talking to you. Don’t make me give up telling my story because you are clearly more interested in scrolling through newsfeeds than listening. Give me the time of day for a conversation, a meal, or an afternoon. You just might have fun and, maybe, you’ll even have something that’s genuinely interesting to say on Facebook afterwards.